A South Florida woman said she found a worm in the BLT salad she and her boyfriend ordered at a Wendy’s – but the restaurant manager brushed off the nauseating find. The customer, who only wanted to give her first name of Ivette, said she immediately regretted making a drive-thru run at the Wendy's at 3535 Hollywood Blvd. on Nov. 7. She and her boyfriend Ahmed said they ordered the salad to share on their ride home, but she could only get through one bite. "I tasted something sour. And I was like 'wait, this is strange.' I spit it out and then I see what looked like a worm to me," Ivette said. 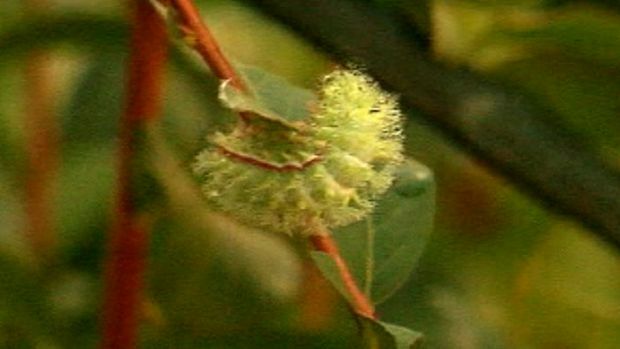 A common green critter, a type of caterpillar, packs a powerful sting. But it wasn’t the only one, she said. She referred to photos she took right after the incident. "That's the worm that I actually saw on the salad, not the one that was in my mouth. That was a different worm that was in the salad," Ivette said. She and Ahmed claim they unearthed an unsavory ingredient beneath the iceberg lettuce leaves: another worm. The couple said that after becoming violently ill, they immediately returned to the restaurant and showed the manager. "They just brushed it off. Like it's not a big deal. It's just a worm. But today it's a worm, what's it going to be next time?" Ivette asked. The couple froze the meal they said was hard to swallow. "I went to the hospital because I felt nauseated the entire time," Ivette said. She and Ahmed are being represented by attorney Mark Pacin, who said he has notified Wendy's of the claim he has filed. "My clients didn't come to me and say 'I want money.' They came to me and said we want to make sure that others are aware as to what's going on," Pacin said. "This is not about money, this is really about public concern," Pacin added. Records indicate that the Wendy's on Hollywood Boulevard has passed all of its most recent restaurant inspections. In its last inspection on file, the restaurant was found to have five violations, according to the Florida Division of Hotels and Restaurants. "We trust other people. We pay other people to prepare our meals, to get them ready for us. I couldn't expect to find this in my food," Ivette said. Wendy's added that there have been no other allegations of food issues at the Hollywood restaurant. The company said it is happy to have an independent lab test the product. Pacin said he has not filed a lawsuit, but is considering all options.